With art we travel. What leads us to search out meaning for the walls of our inner harbours and our exterior retreats? What combination of space, surface and colour lead us to a feeling of extended openness, of belonging to our surroundings, of expansion of space and the glimmer of inexplicable lightness. As we travel through architectural spaces, designed places - the search for the spontaneous and the desirable, and at times the spiritual, can often be mirrored in how we choose to demarcate our ideologies of place. 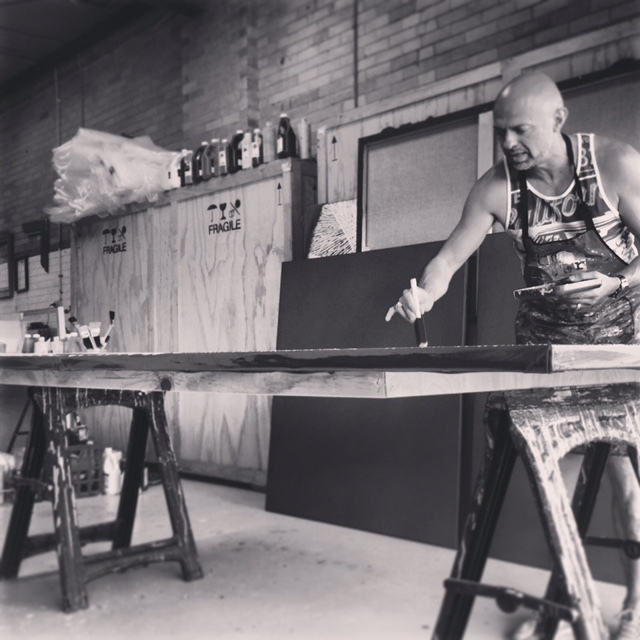 Above: Thierry B mentors Abstract artist Wilson Lin in the Huntingdale studio, Melbourne. Pictured here is abstract artist, Wilson Lin working in his Huntingdale studio, alongside mentor, Thierry B. Originally born in Taiwan, Lin's paintings have been exhibited in Taiwan and Hong Kong as well as represented in Melbourne at Thierry B Fine Art over the past five years. A student of Thierry B’s, Wilson shares studio space in Huntingdale with him, learning to focus his creativity from a Zen perspective, Buddhist in essence. The pattern-making and repetition of line in his works create a vortex and restful space for the viewer all at once. 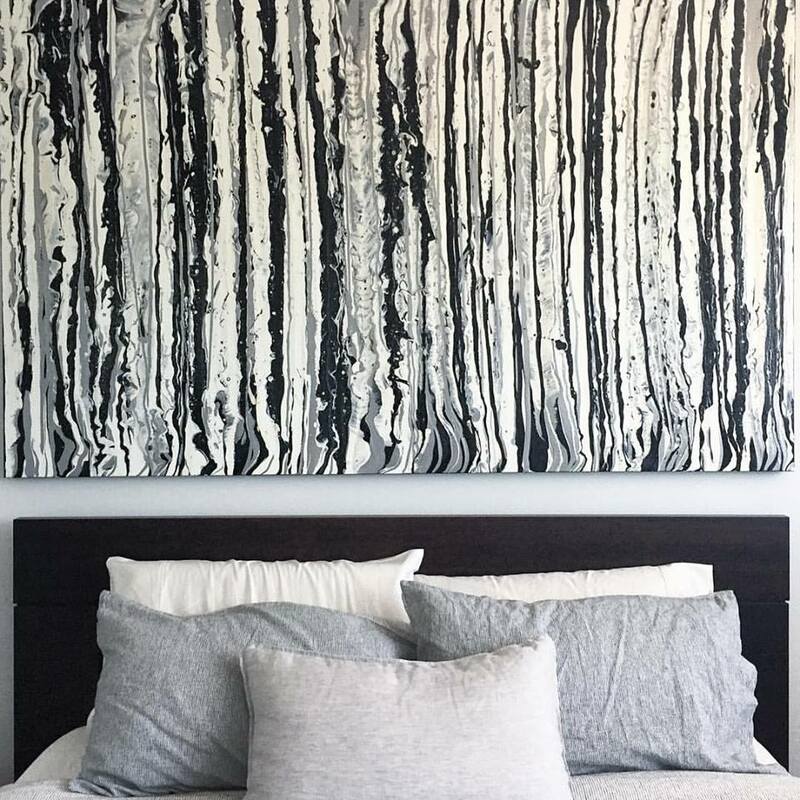 Lin’s paintings are now highly sought after and collected Australia wide and gaining notoriety internationally. Thierry B explains the art of zen; "My work is all about introducing the joy of colour into our lives, often seen here through cross-sections which challenge your spatial perception. The vibrancy of hue and curvilinear forms in repetition create a dynamic feast for the eye, where they are in constant motion. Energy maps a pathway for our eyes and hearts to meld." - Thierry B, July 2015. Above: Prolific Abstract Expressionist painter, Thierry B in his studio, Huntingdale Melbourne. Lily Kelly Napangati is a highly esteemed artist recognised for her contribution to contemporary aboriginal artwork. With a talent for intricate detail, Lily has captivated audiences with her interpretations of the shifting seasons and changing country.This painting depicts the Tali Tali, (Sand Hills) around the artists traditional country located around Mt.Liebig, Haasts Bluff, Papunya and Kintore. The dotting represents the shifting sands and landscape. This is where Lily's ancestors lived, hunted and gathered food. Ceremonies would be performed at sacred creation sites where young women would learn the mythology of how the land was formed and the creeks, plants and animals came into being. Above: Belle magazine features a glamorous interior by David Hicks revealing Thierry B's sonambulistic Euphoria series in wistful white. Measuring 183 x 183cm the painting offers a strong anchor point for this pied-de-terre in Melbourne (see page 114, Aug/Sept Belle Magazine). 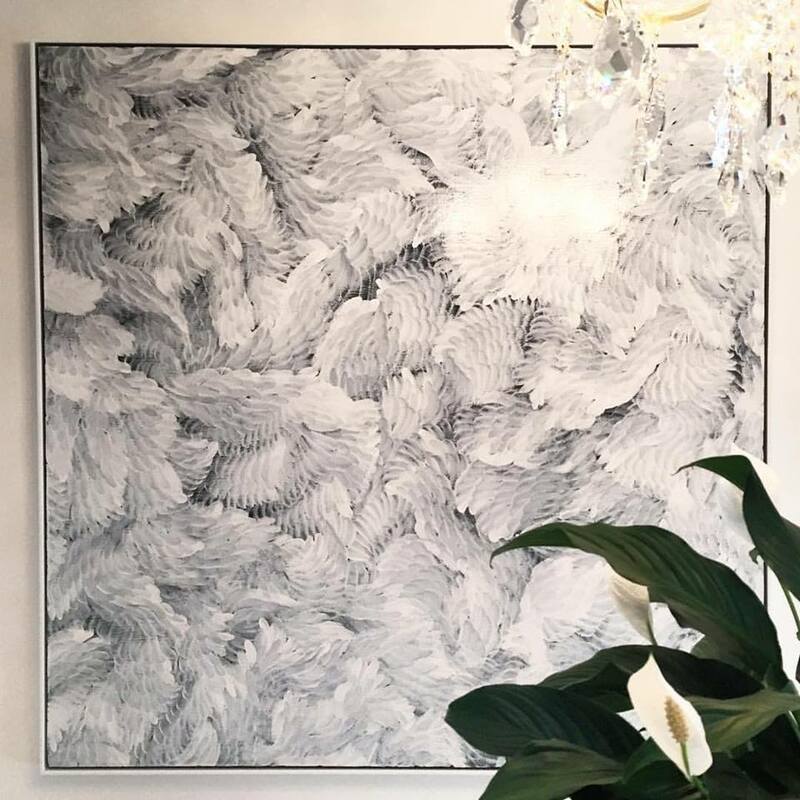 The Euphoria series has been part of Thierry B's oeuvre and regularly requested by loyal clientele for busy boardrooms and home interiors alike for close to fifteen years. As potential collector and client of Thierry B Fine Art, we are excited to offer Autralia-wide complimentary delivery to your home or business address. To place your order, email art@thierrybfineart.com or call directly on: +613 9827 7756. Thierry B Fine Art is located at 473 Malvern Rd, South Yarra.